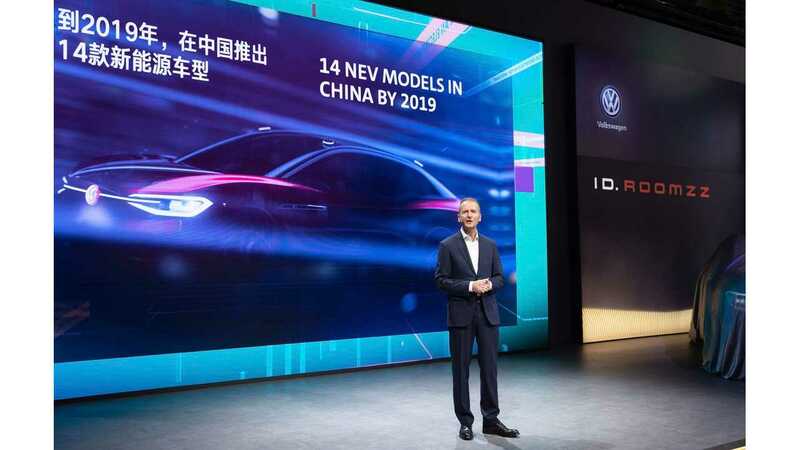 By the way of the 2019 Shanghai Auto Show, Volkswagen Group announced a bold electrification strategy, which envisions production of 22 million all-electric cars (by all the brands and joint ventures globally) by 2028. * two JVs (with FAW and with SAIC) are gearing for total of 600,000 BEVs per year. In 2019, VW Group intends to expand its New Energy Vehicle (plug-ins) lineup in China to 14 models. 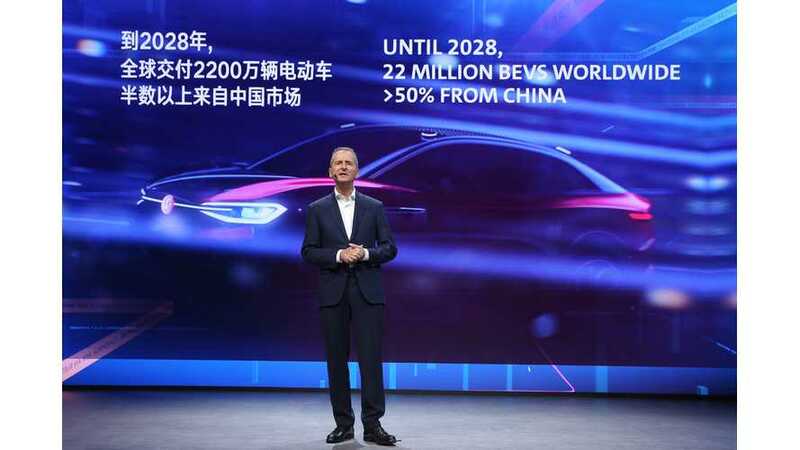 "With construction progressing on MEB platforms at SAIC VOLKSWAGEN in Anting and FAW-Volkswagen in Foshan, Volkswagen will have the technical capacity to produce an additional 600,000 pure electric vehicles a year in China when the two plants become operational next year.In addition, the JAC Volkswagen joint venture is jointly working on its own e-car platform together with SEAT for the production of smaller NEVs. The Group is backing this up with strong efforts to lower the ecological footprint of its 33 production plants in China. Last year alone, CO2 emissions from its China production activities were slashed by 13%, saving 390,000 tons of CO2." To make the electrification in China possible, the Group announced also launch of a new joint venture for charging infrastructure, as well as deeper R&D cooperation between the brands under new ONE R&D structure. Meanwhile, current customer demands for the latest advances in connectivity, efficiency, safety and comfort will be met with a strong portfolio of new models being released in China this year across all the Group’s brands, including a further eight SUV models – five of them locally produced." In a separate press release about the model offensive in China, Volkswagen brand announced a big push for SUVs. The company unveiled in Shanghai 5 new SUV models for China and intends to launch a total of 8 new SUVs by the end of 2019. Together with additional SUVs next year, the total lineup will double to 40. Our attention was, of course, focused on the new Volkswagen I.D. ROOMZZ, scheduled for 2021. "Volkswagen plans an extensive model offensive in China. The brand will have doubled its SUV range by 2020. 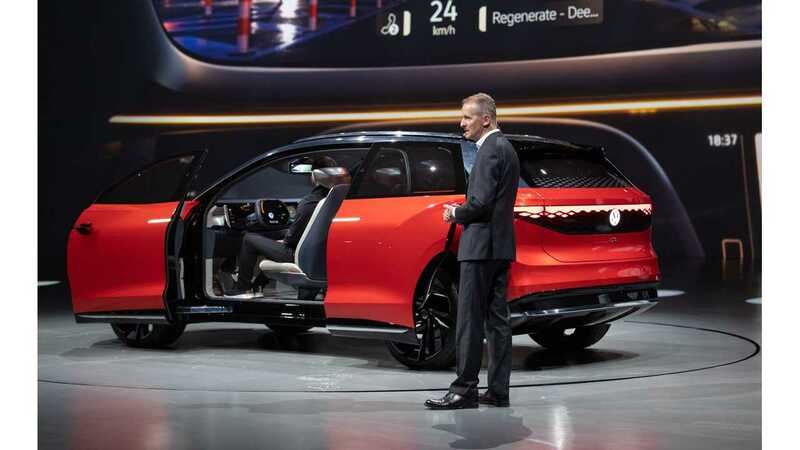 Volkswagen announced during the Auto Shanghai 2019, that the share of SUVs is expected to rise to up to 40 per cent. It is targeting the tradiotional part as well as the growing e-mobility sector. The Volkswagen brand presented five new SUV, four of them as world premieres. 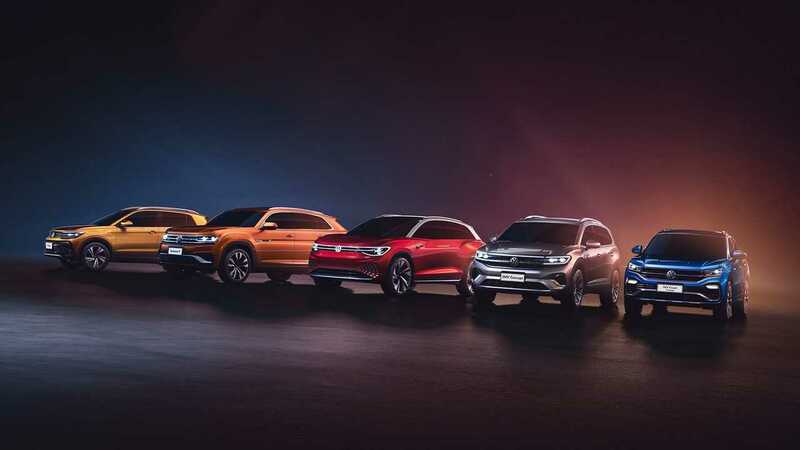 SAIC VOLKSWAGEN showed the T-Cross and the soon to be launched Teramont X, FAW-VW the SUV Coupé Concept and SMV Concept. Besides the four models of the joint ventures the latest member of the ID. Family celebrated its world premiere: the ID. ROOMZZ."